A recent creative take on the Periodic Table of elements – reimagined for pharma marketers – has reportedly been making the rounds within life sciences companies. 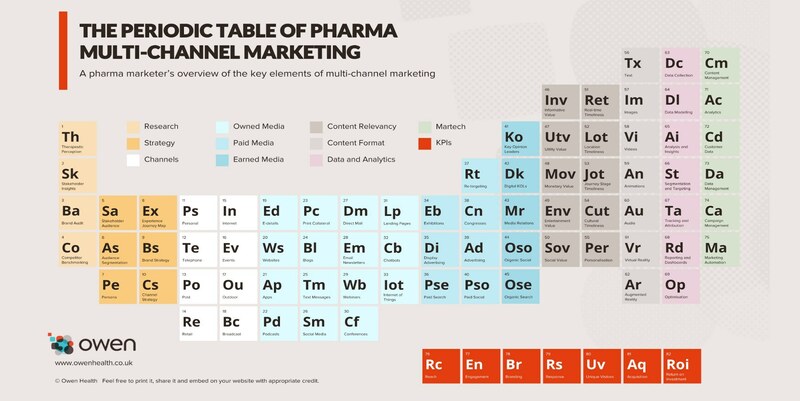 A tongue-in-cheek approach from the Owen Health agency, the “Periodic Table of Multi-Channel Marketing” is nevertheless helping visualize the key elements of a successful strategy. Aptus Health’s standard measurement protocol utilizes a test and control matched pair methodology well-founded in statistical literature, and known to be both repeatable and reproducible. Our measurement methodology is specifically designed to objectively isolate and value the impact of our campaign against a brand’s other promotional activities. Our test (targets who are exposed to campaign) and control (similar targets who are not exposed to campaign) pools are established in a manner that ensures they are representative of each other. Similarity of test and control matched pairs are quantified by propensity score to remove any unintended bias related to profile, promotion, and behavioral variables. Propensity score-enabled matched pairing also allows for large measurement samples where minimal (usually less than 5%) extrapolation is applied to the final measurement. This means that our clients can evaluate the overall impact of our campaigns without the need to apply sizeable projections from a small sample to a broader population. When it comes time to measure the results, analysis of covariance (ANCOVA) is applied to control for any post-campaign environmental and/or promotional changes (salesforce details, samples, etc.) in the Test or Control measurement sample; this isolates the impact of the Aptus Health campaign. 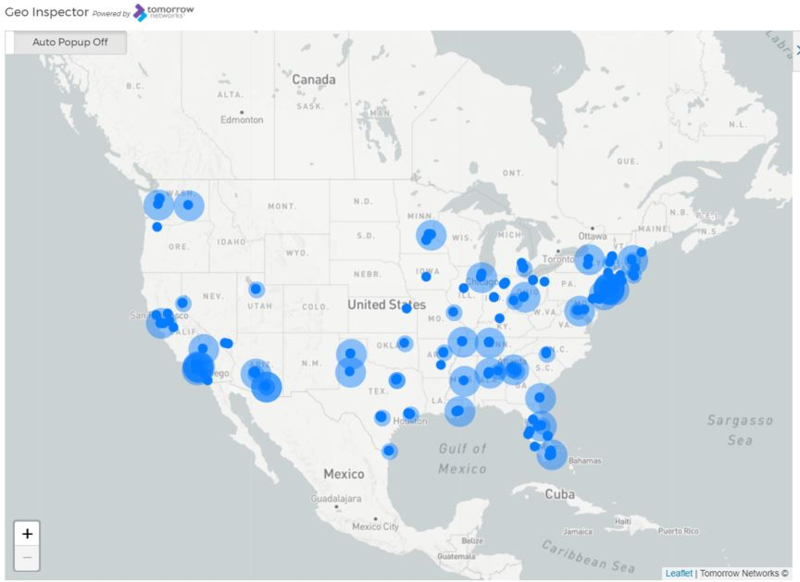 Overall campaign impact measurement is supplemented with measurement and reporting across appropriate key segments, e.g., geography, specialty, decile, payer status, salesforce targets, rep access, custom segmentation, and many others. For the mobile component of our campaigns, third-party reporting is used to assess levels of engagement. This provides an objective view into how, when, and where target audiences are engaging with promotional messages, and are reflected in our client reports. Across all our campaigns, Aptus Health provides continuous learning, actionable insights, and in-flight campaign optimization regarding campaign performance, responder profiles, risks and opportunities, and more. Aptus Health measures its campaigns not just for its clients but with its clients to ensure transparency throughout the entire process. Specifically, our clients are requested to evaluate and offer insights on the analytic process we put forth-- from targeting to final measurement and everything in between. Aptus Health fully understands that its clients may have their own measurement protocols and standards in which they prefer to employ for internal comparison and evaluation. In these cases, we work with our clients to agree upon the measurement approach that will be applied. When results are generated, all parties are already aligned with the methods used, and the conversation can focus on opportunities to modify the campaign for sustained impact. In most cases we design and deliver a campaign that meets or exceeds financial expectations. But, as in all business endeavors, sometimes a campaign underperforms. In those rare cases, our protocol demands that results are presented without excuses, and always with an eye toward identifying and applying meaningful insights. During these situations, decisions are made jointly between Aptus Health and our clients regarding where promotion should be increased, decreased, and even ceased. In short, our systematic approach to measurement and reporting reflects the confidence we have in our approach, the understanding and respect we have for our clients, and the value we deliver. Because experimentation has a role in our business – but not when it comes to building the long-term relationships we have with our clients and with the audiences they seek to engage.